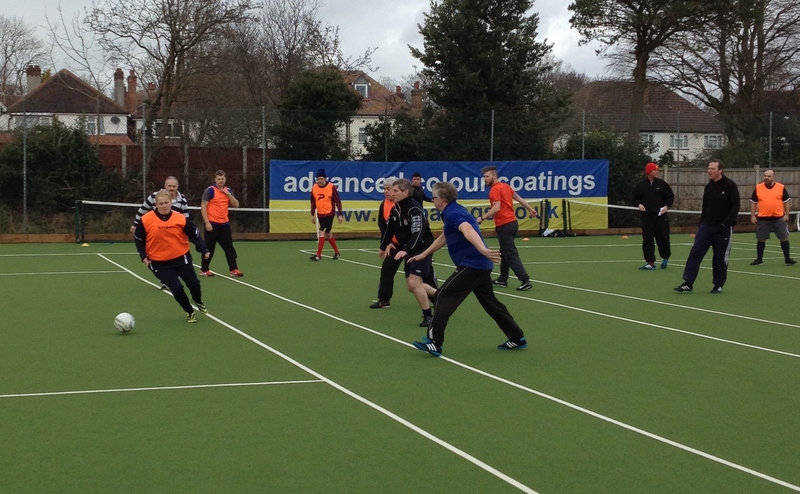 Walking football – a new slower paced football to help get everyone involved. Beechcroft Sports Club have enjoyed great success since launching their first Walking Football activity in September 2014. Local members have joined in with the new game format, which is aimed at over 40’s or those with injuries, who do not feel comfortable competing in the fast-paced version. Luke Bowles, our National Game Assistant Officer, has been supporting the sessions, leading low intensity warm-ups and refereeing games in the revised format. If you thought your football playing days were over then this could be just the sport for you!! So, if you used to play football but now find the pace a bit too much or if you’ve never had the chance to be involved before, walking football is the perfect introduction to playing football for men and women aged 40 years and over, no age limit! A popular means of keeping fit, learning new skills, having fun and socializing! Never too old to play! Non-contact sport! The social aspect of the session as important as the game itself. competition though – it’s much more than a stroll in the park!